Hot properties come and go in the San Diego real estate market, but this University City home is a unique opportunity. This home has not been available for more than 30 years, making this one a must for buyers to visit before it is snapped up again. 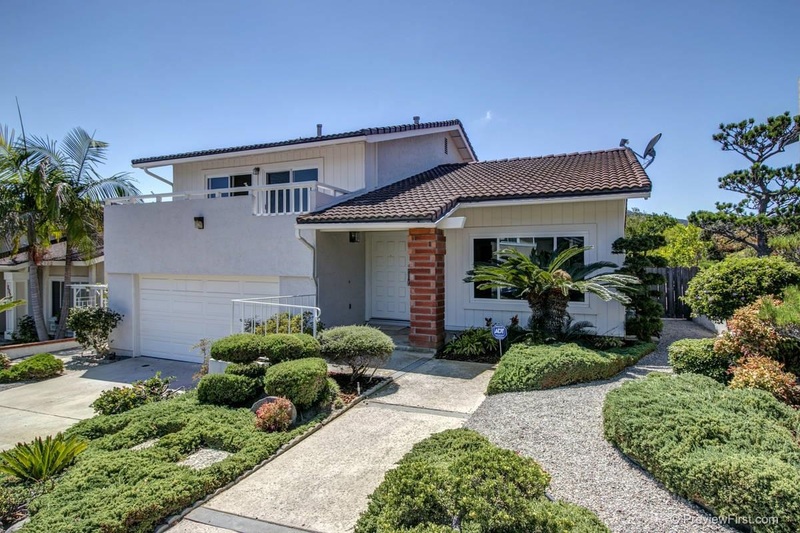 5420 Bloch is situated on an elevated lot in a popular neighborhood that overlooks Mt. Soledad. The convenient location has easy freeway access, which means the home is close to many amenities. In fact, La Jolla is only five minutes away, which makes this neighborhood especially desirable for homeowners. From the curb, the home exudes charm with a white stucco exterior that stands out in the California sun. The roof has classic southwestern flair and is made with clay tiles for a vibrant appearance. The front yard is carefully manicured with patches of greenery, which are contrasted with ample walking paths and a driveway. The front door is extra wide with a white finish, opening onto a small covered patio at the entrance of the home. The garage is accessible from the front, and buyers will be pleasantly surprised that the attached space has lots of enclosed area for cars, storage and more. Stepping inside, everyone will be impressed with the vast living space. The room appears especially spacious thanks to the vaulted ceilings and large, double paned windows. This means that the area is filled with natural light, all of which is accented by dramatic light fixtures that hang from the ceiling. For comfortable entertaining, this main living area is padded with plush carpet. With this, the space is ideal for family living or entertaining. The entryway is lined with sturdy tile, which runs along the length of the room and into the kitchen and dining area. The kitchen has plenty of space both for cooking and for storage. The double ovens make it easy to cook for a crowd, while the convenient built in pantry provides all the room needed for food and cookware. With large windows and a glass door, the kitchen gets a lot of natural light as well. Plus, this easy access to the outside makes for a perfect combination of indoor and outdoor living, which is definitely one of the highlights of this University City property. Going outside from the kitchen, buyers will be blown away by the impressive backyard. 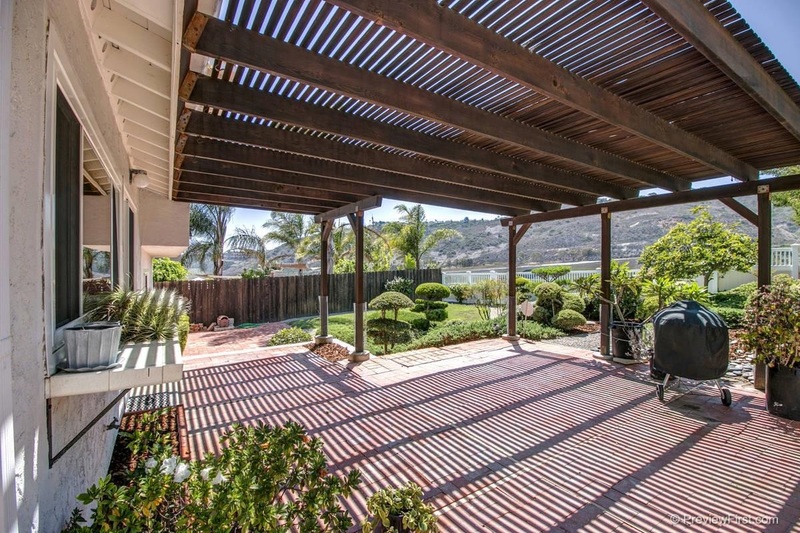 While many San Diego homes have nice pools or tiled patios, this home offers buyers a more distinctive experience. The backyard has been expertly transformed into a Japanese garden. This means that the space is a secluded getaway, featuring greenery and peaceful paths. There is an ample patio, which is covered by a pergola for extra shade. 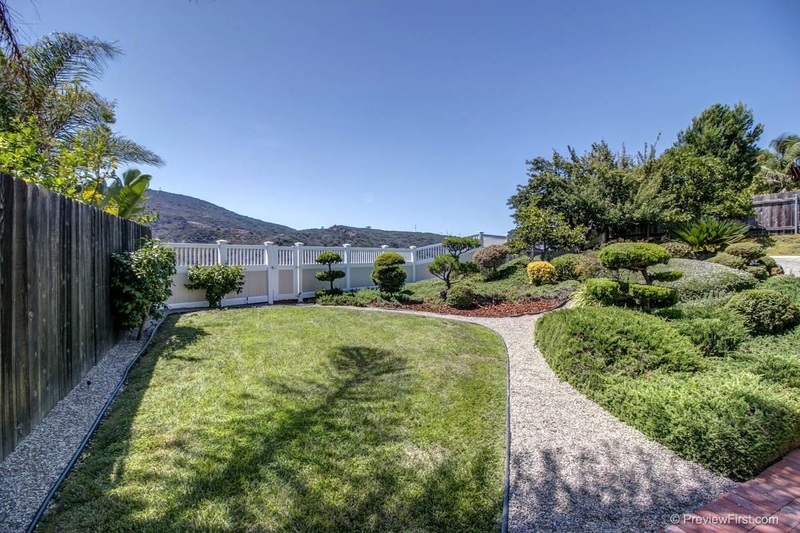 Since the home sits on an elevated lot, the yard has spectacular views of the canyon. In all, this backyard is nothing short of an oasis from the hustle and bustle of modern life. Back inside, the home features an open split level design. Going downstairs, there is a large family room with a wet bar and partial bathroom. The upstairs, by contrast, gives buyers access to three large bedrooms, all adorned with cozy carpet and large windows. The master bedroom is particularly noteworthy with lots of square footage and an attached bath with decadent double sinks. The bedrooms have good storage space, and there is even a balcony off this upper level for more outdoor living space and nice views. Many properties come and go in the San Diego area, and 5420 Bloch will not stay on the market long. See it for yourself by scheduling an appointment today.